Termites dig wood. That’s their jam. But they are a nuisance and very destructive to your home and office and can literally ruin structures and cause thousands of dollars in damage. 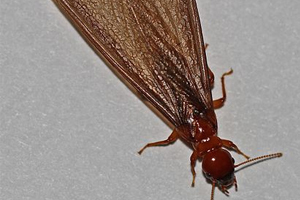 Western subterranean termites cause serious problems in, you guessed it, the western area of North America, which of course means California. These pests are “in plague” in parts of central and southern California. These termites are highly destructive to most woods that are used in construction. They rapidly feed on structural timbers from the inside out, which will obviously cause breakage and ruin the integrity of that piece. You can tell a subterranean termite by the honey-comb shell it leaves behind, packed with partially digested wood and excretions. These pests also like moist areas and can cause even more damage because the moisture is essential for their survival. Damp wood termites like to live in – you guessed it – damp and moist areas where there is plenty of timber to go around. 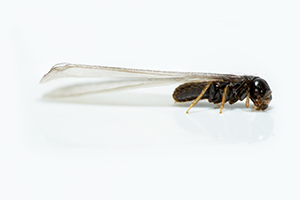 They are commonly found in the Pacific states, so again, California is at risk for these invasive, destructive termites. Unlike subterranean termites, damp wood termites eat across the grain of the wood, making the surface look almost ‘sandpapered’ after they’re done. They only like moist wood, so if the structure is in contact with damp soil, or if there is a plumbing leak, for example, you will find them there. Please note: At this time, we do not provide any services to control termites. We certainly know about termites and the potential danger and damage they can cause to homes, and we empathize with people who experience termite infestations. When clients call us for termite inspection, control and prevention, we direct them to Bear River Termite, Gold Country Termite Control, or Michael Ross Termite in Nevada County or Macklin Termite Control in South Placer County. They are good friends of ours and we’ve heard from clients that they do a terrific job, are efficient, and offer great termite service.